On Tuesday, 03-12-19 at 11:12 p.m., Officer Brenes was dispatched to the parking lot of the police station on a report of a subject who was under the influence of a controlled substance. Officer Brenes contacted the subject and realized she had contact with him earlier in the night regarding a verbal altercation the subject had with his wife. Officer Brenes noticed the subject was sweating profusely and asked him why he was sweating. The subject said he ran to the police station from his residence on Mission Street. The subject said he ran because people were after him and he was being framed. Officer Brenes determined the subject was under the influence of a controlled substance and arrested the subject, a 44-year old Daly City resident, for being under the influence of a controlled substance and for a probation violation. On Wednesday, 03-13-19 at 8:10 p.m., Officer Hamilton was on patrol in the area of Bayshore Boulevard and Geneva Avenue and saw a subject riding a bicycle without tail lights or headlights. Officer Hamilton was approximately 15 feet away from the subject and advised him to stop so he could speak with him. The subject looked at the officer and rode his bike away from him. The officer told him to stop again, and he said the subject found a hole in a nearby fence, dropped his bicycle and ran through the hole in the fence. Other officers arrived to assist, and they found the subject laying on his stomach with his hands under his body. The subject, a 53-year old San Francisco resident, was arrested for resisting/delaying an officer. On Friday, 03-15-19 at 12:05 a.m., a 20-year old San Francisco resident was arrested for driving under the influence of alcohol and for driving under the influence while under the age of 21 after she was involved in a collision with a parked vehicle. This occurred on the 600 block of Southgate Avenue. On Saturday, 03-16-19 at 1:01 a.m., officers were dispatched to a residence on the 300 block of Accacia Street on a report of a loud party with party-goers urinating on the reporting party’s lawn. As officers were arriving, they were notified by dispatchers that there were 8-10 people fighting and 60-80 people in the street. Officer Soyangco arrived and observed several people exiting the residence and saw several people on the street. As Officer Soyangco approached the residence, he saw a subject standing by himself who was swaying side to side. After deciding to place the subject under arrest for public intoxication, the officer said the subject tried to resist him. The subject, a 20-year old San Francisco resident, was additionally arrested resisting a peace officer. On Sunday, 03-17-19 at 8:54 p.m., officers were dispatched to the report of a man with a gun at Westlake Park. The subject, a 49-year old Walnut Creek resident, told dispatchers he was not feeling well and was armed with a gun and a knife. Officers arrived and saw a subject sitting in a car. The subject immediately exited the vehicle and pointed a light at officers, claiming it was a gun and was yelling at the officers to shoot him. A standoff between officers lasted approximately 40 minutes, and the subject was taken into custody with the assistance of a K-9. The subject was placed under a hold to be evaluated by mental health professionals. There were five robberies during the past week. On Monday, 03-11-19 at 1:10 p.m., a 14-year old Westmoor High School student was the victim of a robbery on campus by two other 14-year old Westmoor High School students who threatened to beat him up if he did not give them his backpack. The suspects were later arrested and booked into the Youth Services Center. On Monday, 03-11-19 at 5:23 p.m., a 20-year old Daly City resident said he was standing on the sidewalk at Junipero Serra Boulevard and John Daly Boulevard waiting to cross the street when he was approached by three subjects who said, “Watcha looking at?” The victim said one of the suspects grabbed his gold necklace he was wearing around his neck, and another took his Apple AirPod from his right ear. The victim said he started punching all three suspects with his fists, and the suspects were punching him in return. The victim said he ended up on the ground. The victim said all three suspects left on foot into the BART parking lot. The victim said two of the subjects were Filipino males, 17-19 years old, and the other was a Filipino male between 16-18 years old. This investigation is continuing. 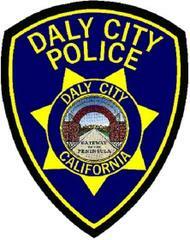 On Thursday, 03-14-19 at 1:30 p.m., a 24-year old Daly City resident the victim of a robbery. The victim said he was walking home near the intersection of Los Olivos Avenue and Santa Barbara Avenue when he was approached from the rear by two subjects. The victim said one subject held a gun to the victim’s lower back and grabbed his wallet from his rear pocket. The victim said the suspect threatened him in both Spanish and English. The victim said the second suspect was acting as a lookout. The victim said the suspects then ran up the hill towards the Dollar Tree store. The victim described the first suspect as a Hispanic male, 20-30 years old, approximately 5’4”, 180 lbs., wearing a black jacket with a hood on and black pants. The victim described the second suspect as a Hispanic male, 20-30 years old, approximately 5’4”, 180 lbs., wearing a dark blue jacket with the hood on and black jeans. The loss was a Burberry wallet containing miscellaneous cards and $1,400. The victim waited a day to report the robbery. On Thursday, 03-14-19 at approximately 2:20 p.m., five unknown suspects entered the Champs Sports store at Serramonte Shopping Center and took approximately 30 shirts. The store employee tried to stop them, and two of the subjects threatened the employee. The suspects were only described as two black females, two black males and one Hispanic male. This investigation is continuing. On Thursday, 03-14-19 at approximately 8:04 p.m., a Smart and Final store employee tried to stop a subject after he stole meat, and the suspect threatened the employee by saying, “Don’t do this, I have a gun.” The employee didn’t actually see the gun and was unharmed. The subject fled the store. Two days later at approximately 10:07 a.m., the store employee said the subject entered the store and stole meat again. This investigation is continuing. On Monday, 03-11-19 at 1:21 p.m., two females entered the Victoria Secret store and grabbed approximately 81 pieces of merchandise and exited the store without paying for the items. This investigation is continuing. On Wednesday, 03-13-19 at 2:10 p.m., an unknown subject stole 30 pairs of men’s Levi’s jeans from JC Penney and fled into an awaiting vehicle. This investigation is continuing. On Friday, 03-15-19 at 8:01 p.m., a TJ Maxx employee saw a female subject put foil around a security sensor on a Michael Kors hand bag and placed the handbag in another bag. The subject then left the store without paying for the bag. The subject, a 32-year old female San Francisco resident, was arrested for burglary. The subject also had a pair of wire cutters in her possession. On Sunday, 03-17-19 at 6:08 p.m., two unknown subjects stole 40 pairs of men’s Levi’s jeans from JC Penney and fled on foot. There were eleven vehicle burglaries during the past week. •	Hoffman Street/Villa Street—painting tools and supplies were taken from a 2017 Toyota Tacoma. The rear window was smashed. Occurred between 5:00 p.m. on 03-11-19 and 7:00 a.m. on 03-12-19. •	Hoffman Street/Villa Street—a backpack containing clothes, papers and a key was taken from a 1993 Jeep Laredo. The rear window was smashed. Occurred between 10:00 p.m. on 03-11-19 and 7:00 a.m. on 03-12-19. •	Hoffman Street/Villa Street—a backpack containing an iPad and schoolbooks was taken from a 2005 Toyota Tacoma. The right front window was smashed. Occurred between 5:00 p.m. on 03-11-19 and 8:00 a.m. on 03-12-19. •	7500 block of Mission Street—a backpack containing work identification and a credit card was taken from the trunk of a 2017 Honda Civic. The method of entry is unknown. Occurred between 9:30 p.m. on 03-12-19 and 8:30 a.m. on 03-13-19. **On-line report made. •	Safeway parking lot—a backpack containing an Apple Mac Book Pro was taken from the trunk of a 2013 Honda Civic. The right front window was smashed. Occurred on 03-15-19 between 7:45 p.m. and 8:00 p.m.
•	Parking lot of 1901 Junipero Serra Boulevard (3rd floor)—a purse, jacket and vest were taken from a 2014 Subaru. The right rear window was smashed. Occurred on 03-14-19 between 7:30 p.m. and 10:00 p.m. **On-line report made. •	Westlake Shopping Center parking garage—a backpack containing an Apple MacBook Pro, a United States passport, two hard drives and a social security card was taken from the passenger seat of a 2011 Hyundai Elantra. The right front window was smashed. Occurred on 03-15-19 between 9:00 p.m. and 9:45 p.m.
•	Parking lot of 533 Clarinada Avenue—two pairs of sunglasses, a lug nut wheel lock key and an Alpine stereo was taken from a 1996 Honda Civic. The method of entry is unknown. Occurred between 8:00 p.m. on 03-15-19 and 9:20 a.m. on 03-16-19. •	Skyline Plaza parking lot near Pizza Hut—a backpack containing schoolbooks and supplies was taken from the front seat of a 2003 Volkswagen. The right front window was smashed. Occurred on 03-17-19 between 10:00 a.m. and 1:37 p.m.
•	Westlake Shopping Center parking lot near GNC—a pair of sunglasses was taken from a 2019 Honda Insight. The right front window was smashed. Occurred on 03-17-19 between 12:00 p.m. and 5:54 p.m.
•	100 block of MacDonald Avenue—a 2009 Ford E350. Occurred on 03-11-19 between 12:01 a.m. and 9:15 a.m. *Recovered by San Francisco P.D. on 03-14-19. Join the City Council for the annual State of the City address by Mayor Ray Buenaventura at 6PM at the City Hall Council Chambers, 333 90th Street, Daly City. The Daly City Host Lion’s Club is having their annual Pasta Bingo event on Friday, April 12, 2019 from 6:00 p.m. to 9:00 p.m. at the Café Doelger in Westlake Park. (101 Lake Merced Boulevard, Daly City). The cost is $25.00 per person and it includes dinner and ten bingo games. The tickets are advanced purchase only, and reservations will be held at the door. (Reservations and payments must be received by Monday, April 8.) For additional information, please call (650) 755-9567 or email dchostlions@comcast.net. FYI, there will be no bulletin next week.